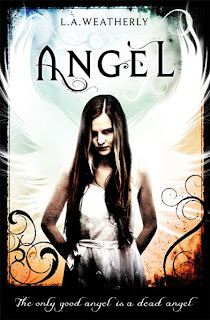 Lord of the Night reviews the supernatural Angel by L.A Weatherly. When I first saw this novel I was fascinated by the caption at the bottom, it seemed very interesting and after reading a little bit about the novel I bought it. It was a very smart purchase. This is a quality novel, and a future trilogy or more, a great supernatural adventure and an enjoyable love story at that. If your a fan of the supernatural, and are sick of the vampire-hype like I am, this is a novel you should seriously consider. When the young girl Willow Fields, who is considered the queen of weird at her school and is psychic, performs a reading on a girl from her class she sees two futures, both horrible and without hope but discovers the cause. An angel that has visited her friend, and somehow ruined her life. Soon her life takes a dramatic turn when she is rescued from an angel attack by the AK, Angel Killer, Alex who discovers that Willow is far more than what she appears to be. With the malevolent Church of Angels on their tail the unlikely pair flee, but the angels are still coming and humanity’s last hope rests on the shoulders of a girl whose powers should not exist. The characters in this novel are few in number but are very interesting. The two protagonists, Willow Fields and Alex, are the focus of the story as they travel across America on their journey. Both of these characters have interesting pasts that come up across the story either through supporting characters or memories that hint at something greater. Their growth as characters is very enjoyable to read and you can really sympathize with them. The supporting characters are, though not as prominent as Willow and Alex, very fun to read. Raziel the head of the Church of Angels’ branch that will usher in a new age is a fascinating character, he is an angel and yet the exact opposite of what they are pictured as by humans. Jonah his assistant whose faith is tested as he begins to learn the truth, and the former AK Cully who shows us just how grim humanity’s situation has become. The antagonists, the angels, are portrayed in a new light. They are cruel, parasitic predators that are slowly turning earth into their own world, and making humans their willing slaves. Angels have never been shown like this before, and yet their can even be some sympathy for them, but to know why you’ll need to read the novel. The action is sparse through the novel, the focus is more the journey, but there are a few fighting scenes and they are quite well done. Alex is adept at killing angels and the ease that he does it in the novels shows just how strong he is, and when Willow joins in the fight becomes a whole new affair. The pacing of the story, taking place over many weeks, is quite well done. I was engaged by this novel, read over a three day period, and I never felt rushed by it, or felt that the novel was slowing. The author does a good job of keeping the reader interested by changing it up between character points-of-views and by keeping the adventure going. The ending was quite surprising, and when you read it you’ll see why, I wasn’t expecting how part of the ending went down but it was still very cool and made me anticipate the sequel even more. Things may be bad but the ending gives hope that humanity still has a chance to save itself, it won’t be easy but theres still hope that the angels can be stopped. 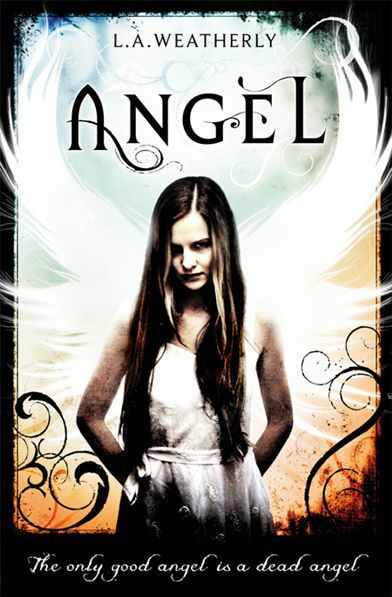 I give Angel a 9/10 for a great story, well-written characters and creating one of the most interesting depictions angels in fiction, this is a great novel and has become one of my most anticipated series. The series will be continued with Angel Fire later this year, and it will definitely be on my pre-order list, even though its more than a few months away I can’t wait for it. Should you buy this book? If your a fan of the supernatural, and enjoy books that don’t rely on fight scenes to tell a good story, then I would recommend this book. Its a great read and tells a story that you’ll very much like, characters that you’ll be rooting for and is the beginning of a trilogy that I think could make many best-seller charts. Sadly it’ll be a while before Angel Fire is released so I have to wait, next up for me is Dresden Files Changes. Hells Bells!